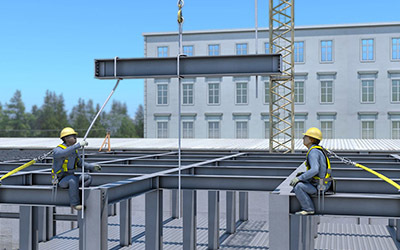 We have expertise in the erection of steelwork for all scales and types of projects, ranging from the restaurants and warehouses to the government offices and railway stations. Our structural steel erectors utilize the 12 Tonne Tabletop Truck with Crane and follow all the safety rules for completing the job. They effectively coordinate with the engineers, and architects throughout the installation work and can handle even the most complicated project.